The Accidental Prime Minister is a memoir of Sanjaya Baru’s time as Manmohan Singh’s Media Advisor (a title Baru styled for himself instead of accepting the humbler but outdated Press Secretary) from 2004 to 2008, while Singh served as Prime Minister during UPA-1. 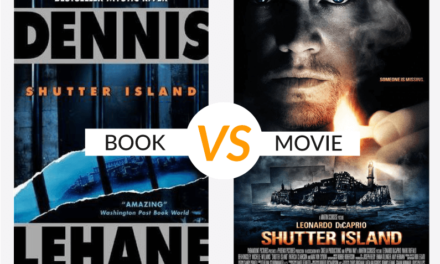 For this piece, I will not follow the standard book vs. movie format that you may be used to, because there is something larger at play here. Take a look at the author of the book, Sanjaya Baru. He does not belong to any political party and is non-biased. He clearly is an admirer of and supports Manmohan Singh but isn’t the biggest fan of the Indian National Congress party. Now, look at the star cast of the movie- Anupam Kher, who portrays ex-Prime Minister Manmohan Singh, is the husband of a current BJP MP and himself a staunch and vocal supporter of the BJP. 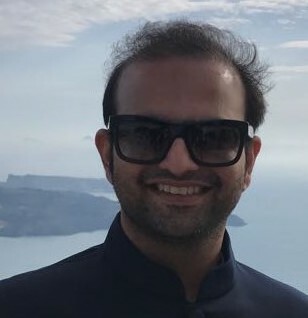 Akshaye Khanna, who portrays Baru, is the son of a late BJP politician. At the beginning of the movie, Baru says ‘kuch hi gine chune log desh chalate hai’ (only a few chosen people run this country) and this really encapsulates the message the movie is trying to portray- the Congress is run by the Gandhi family and they want to rule the country, irrespective of who is P.M. or what is good for the country. Isn’t it odd that the movie was released at the beginning of a Lok Sabha election year when the book was published nearly five years ago? Well, not really because once you watch the movie, you will realise that it is nothing but BJP propaganda and a pretty terrible adaptation of the book. It is simply a vehicle to propel anti-Congress views. It ties in with one of BJP’s main manifestos, which is that they are against dynastic politics and that is what Congress stands for. Let’s start with probably the only thing they got right- the make-up and characterisation of the actors- all playing real-life politicians we are familiar with. Whether it was the actors portraying L.K. Advani or Priyanka Gandhi (who only had bit-roles) or those playing more important roles like those of Singh, Sonia Gandhi or Ahmed Patel, they were all spot-on. It was as if the politicians were gracing the screens themselves. Clearly, a lot of attention was paid to small details, from their clothes to hairstyle and even their mannerisms. Barring this aspect, the movie was terrible- both in absolute terms and as an adaptation. The book is entirely from Baru’s point of view and sticks to Singh’s story. The movie, on the other hand, shows a lot of apparently confidential conversations between senior Congress members, in which Baru is not present. In the book, Baru is objective in his views, praising Singh, the Congress and the BJP when they did something praiseworthy and calling them out when they did something wrong. The movie instead chooses to portray the Congress and the Gandhi family in a completely negative light and barely features the BJP, as if they had virtually no role in the country’s governance, despite being the leader of the opposition. Take the core aspect of the movie- Manmohan Singh’s depiction. In the book, his initial reluctance in getting involved in politics to him coming into his own and owning his position to his ultimate downfall and mistreatment at the hands of the Gandhis and other Congress leaders is clearly etched out. In the movie, he is portrayed as completely unidimensional, subservient, almost unintelligent and nothing more than a puppet. It is almost ironic because being a Gandhi puppet is his popular image, one which the book tries to dispel, but the movie clearly propagates. In the first few scenes, the movie shows Ahmed Patel creating the National Advisory Committee (NAC) as a way to place an insider in Singh’s office, one who would report directly to Sonia Gandhi. The Prime Minister is upset about it and recognises that it is unconstitutional but meekly accepts it. The public front for the NAC is that it is a special body that will work for the poor, but in reality, it was just a body created to keep Singh ‘in check’. The scene ends with Singh sadly saying that it is clear that the party’s interests have to be placed above the nation’s interests. Immediately after this scene, there is a flashback from Singh’s time as finance minister which further drives home the point that Singh was at one time a man of principles but reduced to a puppet by the Gandhis. He is seen chastising a young Baru (who was a journalist at the time) for omitting to print an important aspect of Singh’s interview. When Baru tries to blame his editor for the mistake, Singh gives him a dressing down and tells Baru that he cannot simply pass the buck and must take responsibility for this own actions. While this scene is there in the book, where it appears in the movie is different. By showing it just after a scene where Singh is himself passing the buck, it is further emphasising the point that Congress manipulated Singh into such a corner that he chose not to stand by his principles. Time and time again, the movie depicts the Congress as evil and nasty. 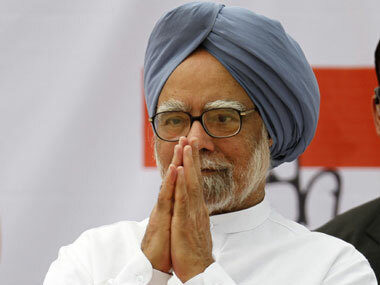 Singh’s crowning achievement in UPA-1 was the passing of the Nuclear Deal- a complicated deal, which almost led to the fall of his shaky coalition government. The book details how the deal came to be, who was against it and why Singh was so keen on passing it. It shows him tirelessly working to have it implemented and taking a firm stand against the Congress leadership and their coalition partners. It does mention that Sonia Gandhi valued the Left’s support more than the deal but that is just one aspect of it. 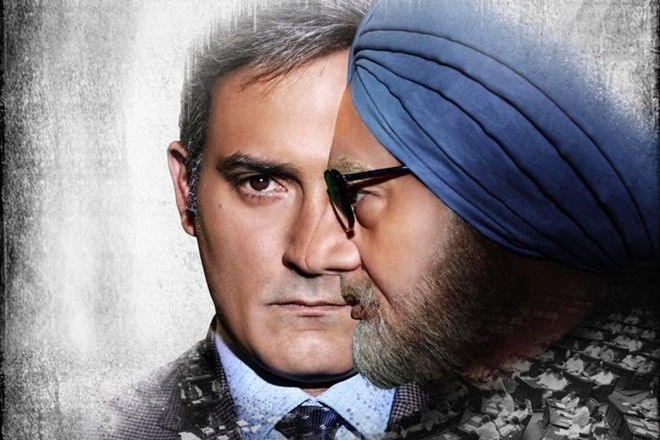 The movie instead focuses mainly on how the Congress did not stand by Singh as he was trying to get this deal passed and, in fact, actively worked against him, trying to undo his efforts, even if it was at the cost of the nation. It seems as if the makers of the movie picked and chose parts of the story where they could portray Congress in a bad light and didn’t really care about Singh’s story at all. They don’t even touch upon some of his other achievements as it doesn’t give them any scope to badmouth Congress. His important work on passing the Mahatma Gandhi National Rural Employment Guarantee Act barely finds a mention, nor do his attempts to solve the Kashmir issue or his excellent relations with Musharraf. Another significant achievement of his- the creation of a bus route from Srinagar to Muzaffarabad and him going to Kashmir for the inaugural bus ride despite terrorist threats- is not even depicted in the movie despite featuring heavily in the book. The end of the movie shows events that take place after the book was published. The last scenes show archival footage of Modi giving a speech saying ‘maa-bete ki sarkar gayee’ (the mother-son government is gone) and a victorious Modi parading. There are captions on the screen telling the audience that BJP decimated the Congress in the general elections. So what correlation do these scenes have with the story? None what so ever. It is almost as if the makers of the movie want to remind the audience of Modi’s victory. 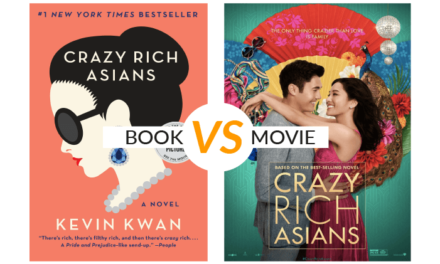 The movie is a disaster, to say the least, and while the book may not be the most brilliant book written, at least you read an untold and interesting story. In my opinion, Baru made a serious mistake in choosing whom he sold the movie rights to because they have taken his story and made it completely unrecognisable. They have made a mockery of the man he respects so much, and instead of correcting Singh’s image as Baru tried to do in the book, tarnished it even further while running down the Congress in every possible way. Do yourself a favour and do not watch this terrible movie. 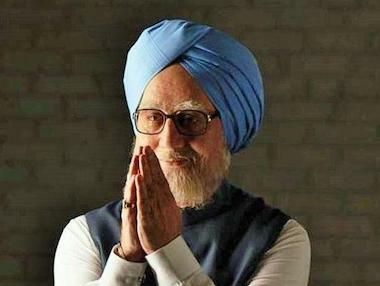 What did you enjoy more- The Accidental Prime Minister, the book, or The Accidental Prime Minister, the movie? Do you agree with our analysis? Were you also disappointed with the propaganda portrayed? Share with us in the comments! As a young boy, Nirbhay had the annoying habit of waking up at 5 a.m. Since television was a big no-no, he had no choice but to read to entertain himself and that is how his love affair with books began. A true-blue Piscean, books paved the path to his fantasy worlds- worlds he’d often rather stay in. Nirbhay is the co-founder and publisher of The Curious Reader. You can read his articles, here. thanks for the detailed description.. The best literary essays, features and series from around the web delivered straight to your inbox, every week. I want to read more! We hate spam as much as you hate spoilers!